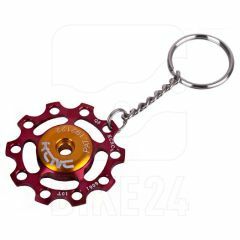 Keyring made from a KCNC 10T jockey wheel - very nice and genuinely useful! They are real jockey wheels but do not have a bearing inside! !